Norfork Lake is trying to cool down a little. For the second time in the last month the lake surface temperature has dropped to around 76 degrees in the early morning. If this cool down continues it will help energize the fish and help make the fall bite take off. 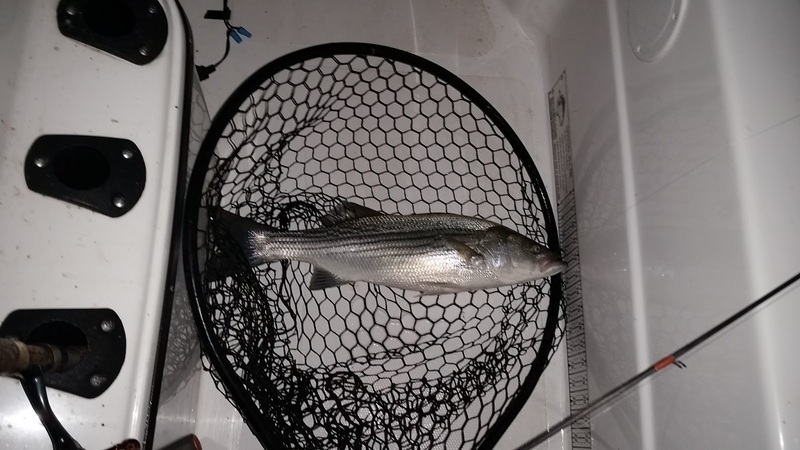 The striped bass bite for me is good one time out and non existent the next. Today was one of those good days, but the fisherman (me) was having difficulty getting a good hook set and when I did have a good fish on I was breaking off. I guess I still need more practice. 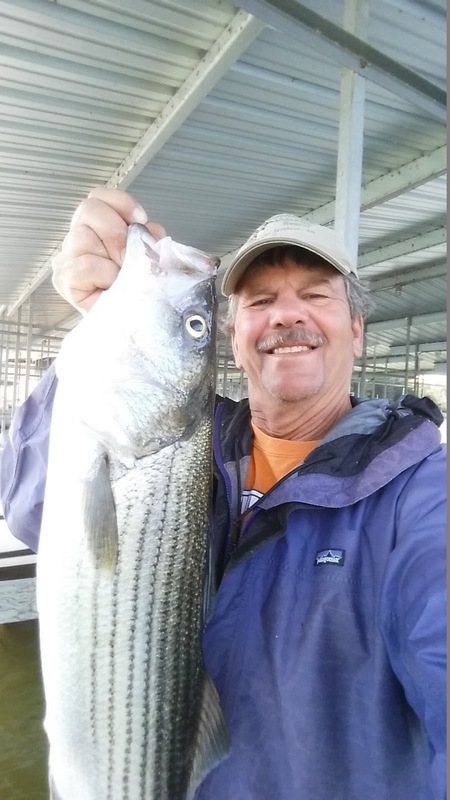 :-) I was fishing with live thread fin shad. I managed to land 5 striper/hybrids, but should / could have had many more. All but one hybrid were released. The bite started around 5:15 AM and lasted until about 7AM. 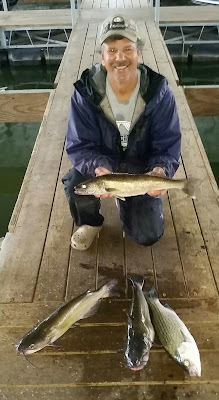 I was fishing in 25 - 35 feet of water and the fish were at all depths. One of my trolling guests is starting to pick up a few nice stripers later in the mornings in 100 feet of water. The fish are still 25 - 30 feet down. When you find shad in the deep water there more than likely will be some stripers hanging close by. 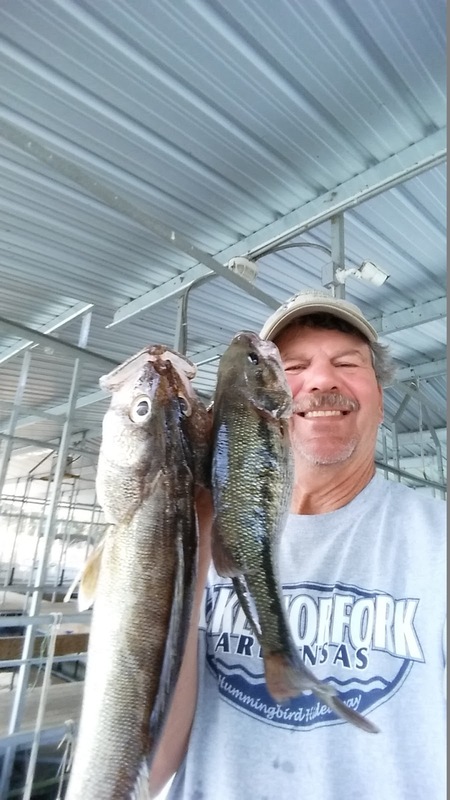 The crappie bite is still decent, but not great. There are crappie on brush in 23 - 30 feet of water and the fish are anywhere from 8 feet down to the bottom. You just need to keep fishing different depths until you find the level where the fish are feeding. 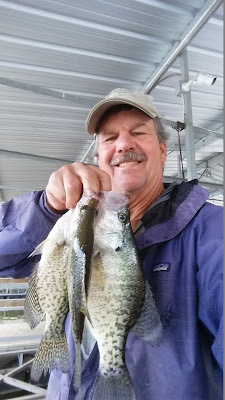 I have found some big white crappie scattered on the big sandy flats. Live minnows on a slip bobber is a great method, but jigging a small hair jig or a spoon has also been working. 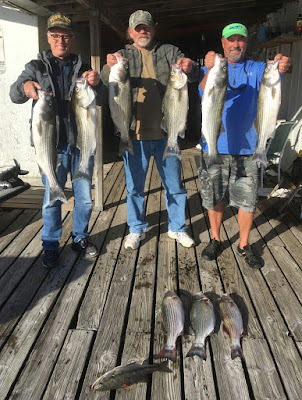 Walleye are scattered though out the lake and are shallow before dark then in about 25 - 30 feet of water the rest of the time. Crawler harnesses with a bottom bouncer or a drop shot rig are working very well. 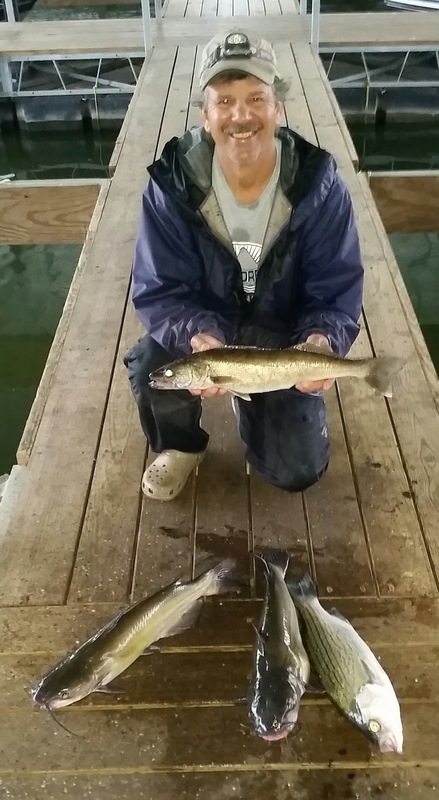 Today I landed a nice 22 inch walleye on a live minnow in 27 feet of water. 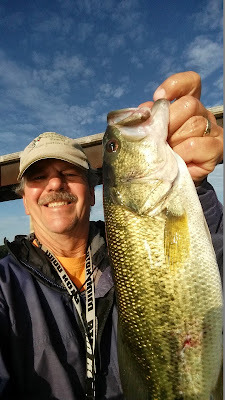 Largemouth, smallmouth and spotted bass are also scattered though out the lake. There are a lot of smaller fish on brush piles (great spawn the last 2 years). I have been finding the larger fish in about 28 feet of water lying on or close to the bottom along bluff lines and also close to bluff line points. 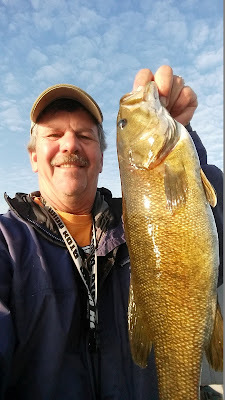 I have been vertical jigging a spoon looking for walleye when I run across big bass. Drop shot rigs with a jig or plastic crawler should also work. I have also noticed many suspended fish 10 - 20 feet down along the bluff lines. I have caught some of these fish with my spoon, but most are small, with a few bigger fish mixed in. There has been some top water feeding going on early in the morning and then again at sunset. All sizes of fish are feeding at this time when you run across this action. Catfish are also at this same 25 - 35 feet depth. Today I landed 2 really nice channel cats while striper fishing. They really do not want to come off the bottom once you get them hooked. Lots of fun. fishing. :-) I am going to work!!! Norfork Lake level is falling slowly, close to 2 inches per day with slight power generation. The current level is 554.68. The main lake is somewhat clear, but the creeks and coves are stained. The current surface water temperature this morning was 76.5 degrees.